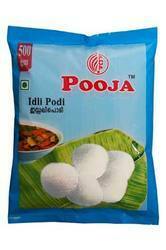 Idli Podi manufactured by Pooja Condiments Pvt. Ltd. is a grand mix of finest quality and highly nutritious dhal & rice. 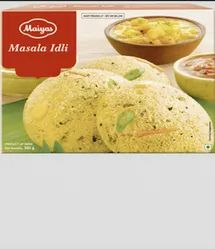 Consumed at large for its softness, this idli powder is available in 500gm pack. We have become one of the prominent Idli Podi Manufacturers in South India. Home made Idli Powder make in traditional methodlogies for right taste and delicious taste. The added processed fish with our Idly/Dosa podi gives a natural non-veg flavor for such lovers. Our homemade idli podi is spicy and rich in taste. Available in 100g, 200g, 500g, 1kg. This price is only in kerala. We have been counted amongst the most trusted names in this domain, engaged in offering a standard quality range of Idli Podi.